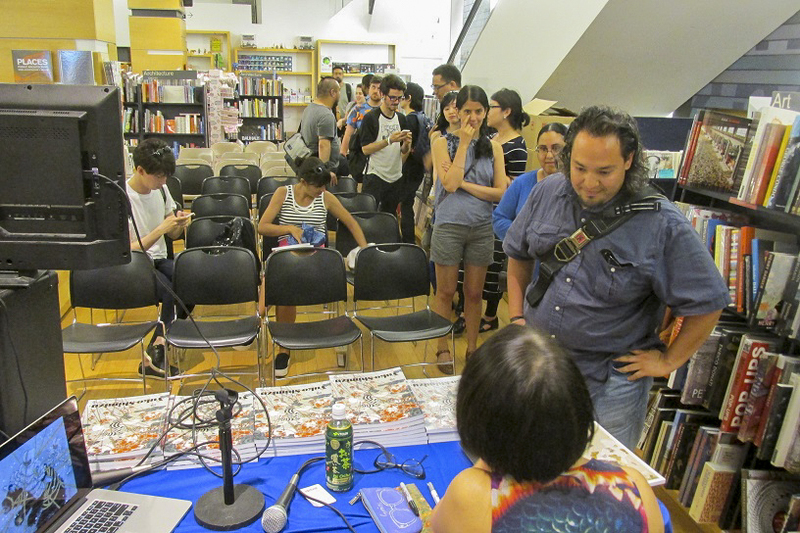 Kinokuniya New York hosted Yuko Shimizu on May 28, 2016. Yuko appeared in conversation with SooJin Buzelli of Asset International to talk about the launch of her new book Living With: Yuko Shimizu. Yuko was well received by an audience filled in large part by designers and illustrators. Much of her success is attributed to her style which is a combination of traditional Japanese art and manga popular styles mixed with her creative illustration concepts. SooJin who has worked with Yuko often and indeed, hires her for selected projects said that Yuko’s style was a combination of these factors but Yuko also has her own unique ‘weight’ and style which is what gets her hired for projects.